These simple, no fuss mashed potatoes are rich and fluffy. These are perfect for holiday meals when mashed potatoes should be extra special! I know Thanksgiving is all about the Turkey and Christmas is all about the roast beef but in my world both occasions are all about the potatoes. I have a passionate love affair with mashed potatoes – always have, always will. 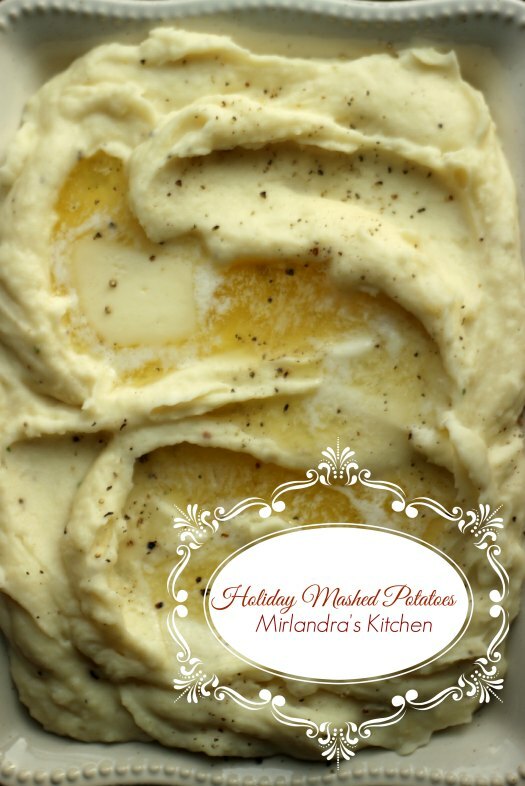 These Holiday Mashed Potatoes have won me over above all other mashed potatoes. My rule of mashed potatoes goes something like this: There must be butter – lots and lots of butter. Some cream needs to be involved and maybe some cream cheese for the slightest tang in the flavor. Sour cream can be fun but not for the main holiday potatoes. That should be for random meals throughout the year where it fits. I know this is a personal opinion – I will understand if you feel you must add sour cream to yours. The potatoes must have plenty of pepper and enough salt to be flavorful. Instead of salting with table salt I sneak a little chicken bouillon into the recipe. You will be amazed at the wonderful flavor it adds to the potatoes. Usually nobody can put their finger on just what it is I have in there! Above all else the potatoes should not have much in the way of lumps and they should never, ever be overbeaten. Tools In This Post: Don’t launch into holiday cooking without a solid set of knives. You don’t need 10 knives and you don’t need to spend $1,000. A three knife set like this will set you up well for kitchen success. We own a few more knives but mostly because Jonathan and I cook at the same time and the last thing you want to do on Thanksgiving is start arguing over who gets to use the knife next. Need a good Prime Rib recipe for Christmas? I’ve got you covered! 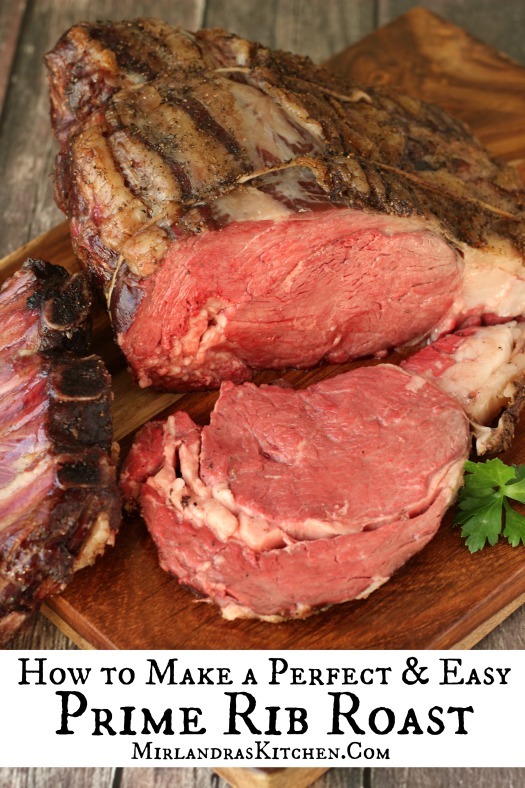 Check out my Easy Prime Rib Roast Recipe and Tips! 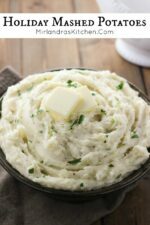 Simple, no fuss mashed potatoes that are rich and fluffy. These are perfect for holiday meals when mashed potatoes should be extra special! Fill a large pot about 1/3 full with water. Add 1 tsp. salt, cover with the lid, and bring to a boil on high. Meanwhile, peel potatoes and cut into cubes, about 1" across. Add potatoes to boiling water. Bring back up to a boil and then turn town to a hearty simmer. Put the lid back on the pot cocked at an angle to allow some steam to escape. Boil until tender, about 20 minutes. While the potatoes are cooking, add cream cheese, cream, butter, bullion, and pepper to a medium microwave safe bowl. Microwave this mixture for 2 minutes. Set by the stand mixer. When the potatoes are tender, drain them and add to a stand mixer fitted with the whisk attachment. Pour the seasoning mixture over the potatoes. Beat on high for 30-45 seconds. Do not overbeat or potatoes will become gluey. Serve hot. Garnish with additional ground pepper and chunks of butter if desired. 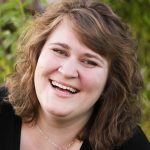 Author’s Note: This was one of my early posts in the fall of 2014. The photos were pretty rough (see below) so I took new ones in 2017. Enjoy the facelift! Can you make ahead and freeze, then reheat? It might be possible and I have seen people who do have recipes like that. I have not done it with this recipe so I can’t speak directly to it. Sounds like I should do some experimenting sometime! If you try it please let me know!